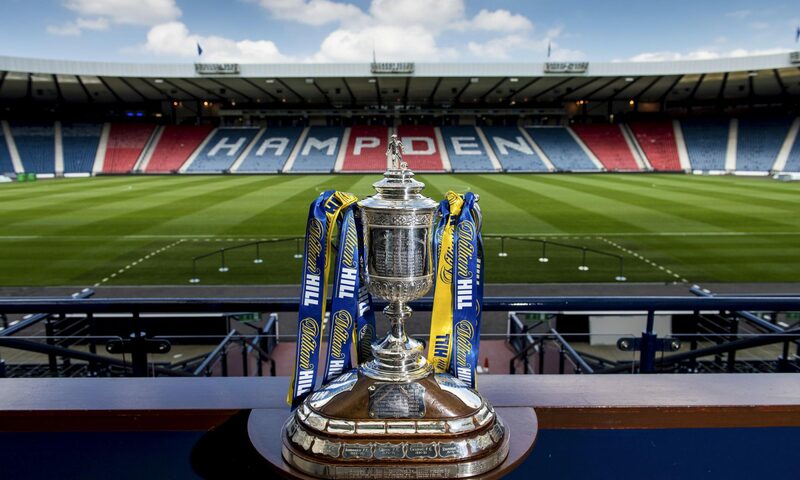 Do the Tartan Army need a new leader to make it to Brazil in 2014? So, just as the Scottish sporting media scratched their heads for a gap-bridging story to fill the void between the conclusion of the Olympics, and the inevitable ‘transfer window slamming shut’ gibberish, up pops Craig Levein to the aid of the journos with his bizarre inclusion of Ian Black in the Scotland squad. The story has been all over the news; and rightly so. The Tartan Army unanimously screwed up their faces, both in surprise and angst at the notion of Black pulling on the dark blue jersey on account of the Scotland boss’ recent comments about how difficult it’ll be to select Rangers players, given their newly confirmed status in Scotland’s 4th tier. It’s been well documented, so I won’t labour the point, but Black shouldn’t be featuring in the Scotland setup at all. Not today; not ever. I refuse to accept his thuggery on the football pitch as an acceptable way to play the ‘beautiful game’, and I know there are many more deserving individuals who could do more for the Scotland team if included at Black’s expense. To my mind, Craig Conway of Cardiff, surprise Stoke signing Jamie Ness, and Scott Allan of West Brom spring to mind. The point is, yet again Levein appears to have overlooked the obvious, made an error, and gone against the grain in a manner considered by some as odd; but by most as bewildering. Selection in general has been a thorny issue for Levein. Throughout his time he’s thrown in his fair share of Englishmen in particular who’ve not quite set the heather alight. The likes of Phil Bardsley and Matt Gilks being selected while a then unstoppable Ross McCormack sat unnoticed is quite inexplicable. 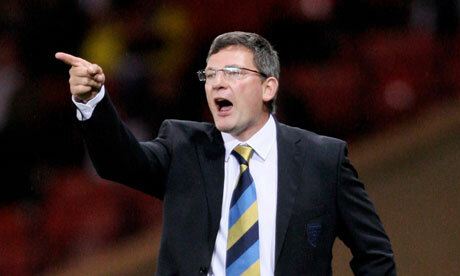 Is Levein the right man to take the Scots to Brazil? This feeling of doom and gloom ahead of a qualifying campaign is all too familiar, particularly under Levein. The former Dundee United boss’ CV is resplendent with entries that would cause concern to Scotland fans. Hit the byline asks the question, is it time for a change before we’re doomed to miss out on yet another major finals? The Hampden faithful are still reeling from having to endure a 5-1 trouncing at the hands of the USA in our last outing, and the concern is that Levein’s results could be going from bad to worse at the worst possible time, just as we look to kick off our World Cup 2014 qualifying campaign. His monotonous tone aside, I doubt Levein will ever shake off the demons and ridicule of the 4-6-0 incident against the Czech Republic in our last campaign. For those of you who needed reminding, Scotland faced a stern but not un-winnable task in Prague’s ‘Synot Tip Arena‘ as part of the Euro 2012 qualifiers. At least a point had to be earned to keep us in the running for a playoff place. Enter Levein and the infamous 4-6-0 formation. Scotland’s lion was more whimpering than rampant in a narrow 1-0 defeat, and unsurprisingly presented little or no danger to Peter Cech’s goal. The Euro 2012 qualifying campaign stopped short of laughable, arriving more at ‘unconvincing‘ in my book. Indications of this would be our pair of slender wins by a solitary goal over footballing minnows Liechtenstein, one of which necessitated at 97th minute winner to see them off. To put this into context, Liechtenstein is a nation with a population so small, that it fits comfortably within Easter Road and Tynecastle. It’s just 61 square miles in area, and on the football front, they’ve won just 6 competitive matches, and have therefore never qualified for a major tournament. Perhaps a 3-0 or more could have been expected Craig? The final insult (or irony) of the campaign was that it turned out to be the failure to secure a point in the ill-fated 4-6-0 game that ultimately cost us a playoff place. Had we managed even a 1-1, we’d have been the ones who played Montenegro in a bid to reach the finals. “Even Barcelona, with their 4-5-1, use just one striker. In fact, when they lose the ball, they go 4-6-0. They don’t even leave a striker up the park”. Yes Craig, Barca do often dabble with a 4-6-0. However, Messrs Messi, Iniesta, Xavi, Fabregas and their pals do help make the formation a go-er. Unfortunately none of the Barca boys have Scottish grandparents. Just bad luck I suppose? Legendary New York Yankees batter Lefty Gomez famously said, “I’d rather be lucky than good”, and perhaps he was on to something. Given the perennial Scottish task of having to punch above our weight, a bit of luck is needed from time to time. Lucky indeed for Levein that he’s been blessed with having the best Scottish striker since Euro 96‘ at his disposal, in Steven Fletcher. Trust Levein to transform the positive into a negative, get embroiled in a silly spat over selection and make Fletcher as much use as a glass cricket bat.Yes, the Wolves striker with a £12m price tag on his head is unavailable to help us reach our first major finals in 18 years by virtue of a pointless argument based on the forward’s expectation of getting a game for his national side. Surely a clever manager would get his prized asset onside, and give our aforementioned whimpering lion a much needed shot in the arm to become rampant once more? Embarrassing World Cup qualifying campaigns are becoming worryingly common for Scotland. This one could be our most difficult in a generation. Ok, so there’s no footballing heavyweights in there, but when the fixtures are looked at, where exactly does the average Scotland fan expect to pick up 3 points? Serbia will be a daunting place to visit, and won’t roll over at Hampden. A newly resurgent Wales side are capable, as history proves, of giving us a hiding if we’re not careful. Croatia ooze class in every department, and will firmly expect to qualify. Belgium have taught us a lesson or two before, despite currently sitting a few places behind us in the world rankings. Last but not least, Macedonia. They’ve held Portugal to a respectable draw just a few months ago, and playing in their 30°C heat will be a less than attractive prospect to some (we are Scottish after all). As always, we know we’ve got the players to deliver during this campaign, but do we have the correct man holding the reigns to inspire team spirit, cohesive play, and inject passion into our side again? Next PostNext Is McCoist running out of time in the Ibrox dugout?